The profession of nursing is rewarding, intellectually challenging and will provide you with many opportunities for specialization. Caring for patients in a hospital, working with clients in the community to improve health, caring for people in primary care as a nurse practitioner, working with the elderly or children, engaging in research to improve health care, teaching patients or students, or using technology to improve health care systems are just a few avenues one can pursue in a nursing career. The Hunter-Bellevue School of Nursing (HBSON) is the flagship nursing school of the City University of New York. The HBSON is located on the Brookdale Health Sciences Campus of Hunter College, 425 East 25th Street between 1st Avenue and the FDR Drive, adjacent to the VA Hospital, Bellevue Hospital, and NYU Medical Center. Clinical education at HBSON takes place in a wide variety of settings throughout the NYC metropolitan area. 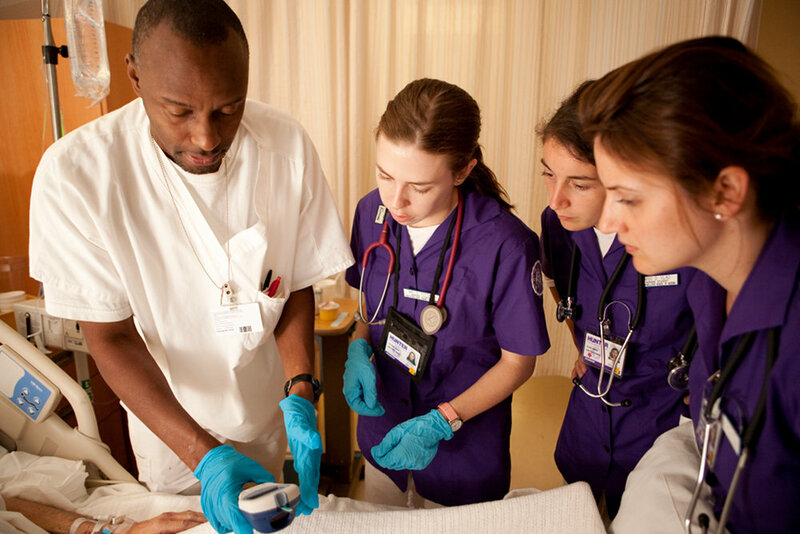 As one of the largest and most prestigious nursing programs in the country, the Hunter-Bellevue School of Nursing can help you to become a nurse or advance your education in nursing. As you explore the opportunities that exist here, we would be delighted to discuss your interests further and answer your questions about our programs at an upcoming information session.